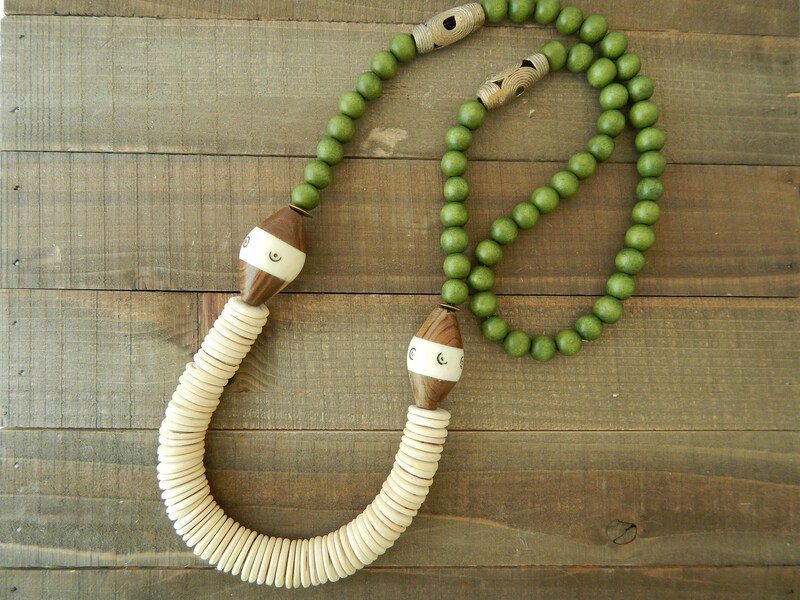 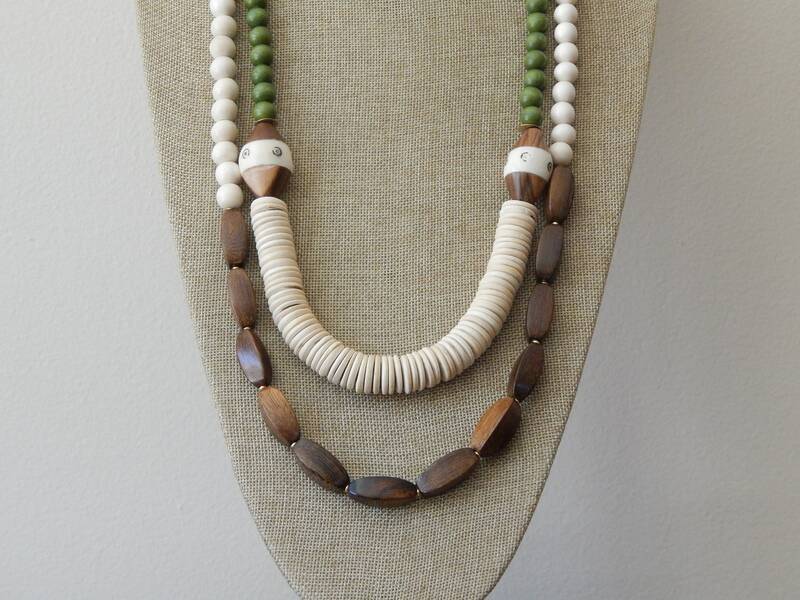 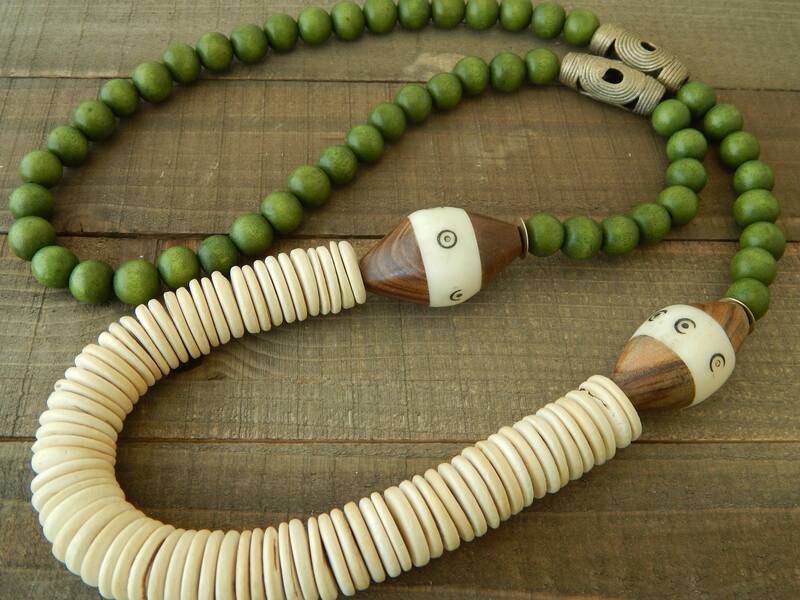 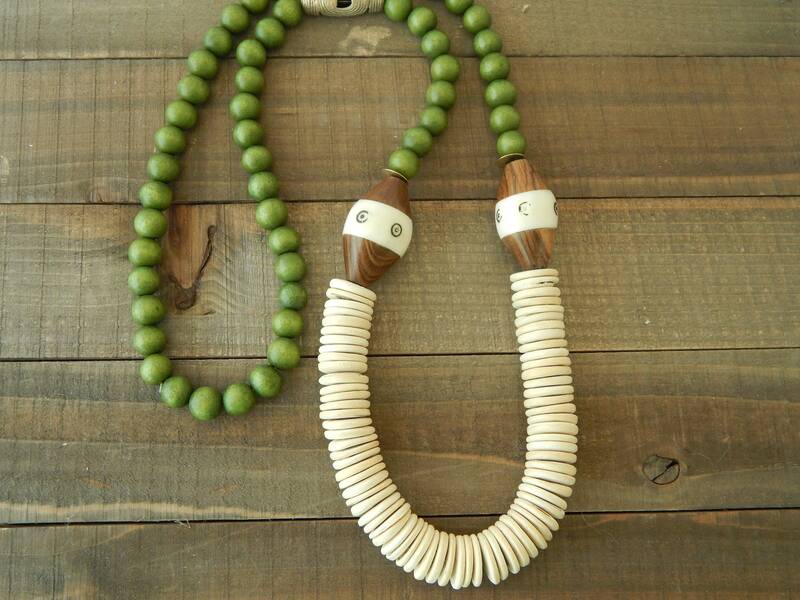 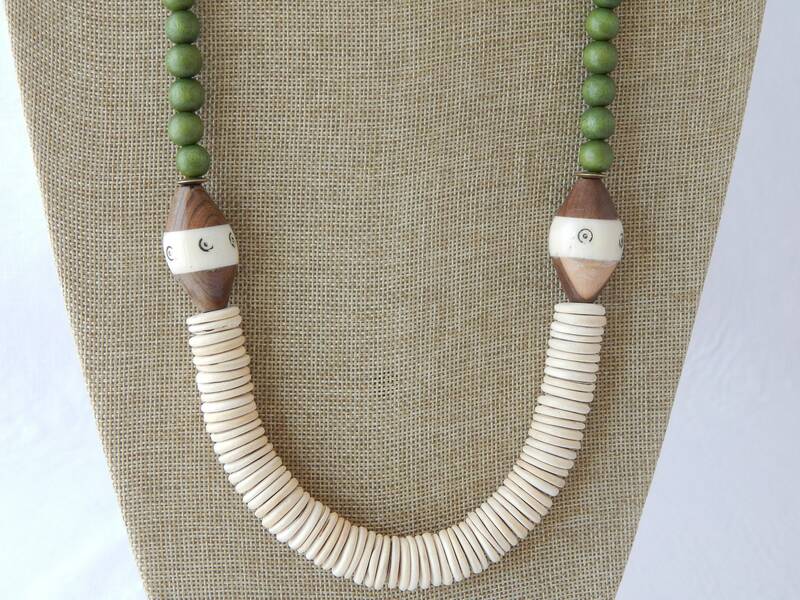 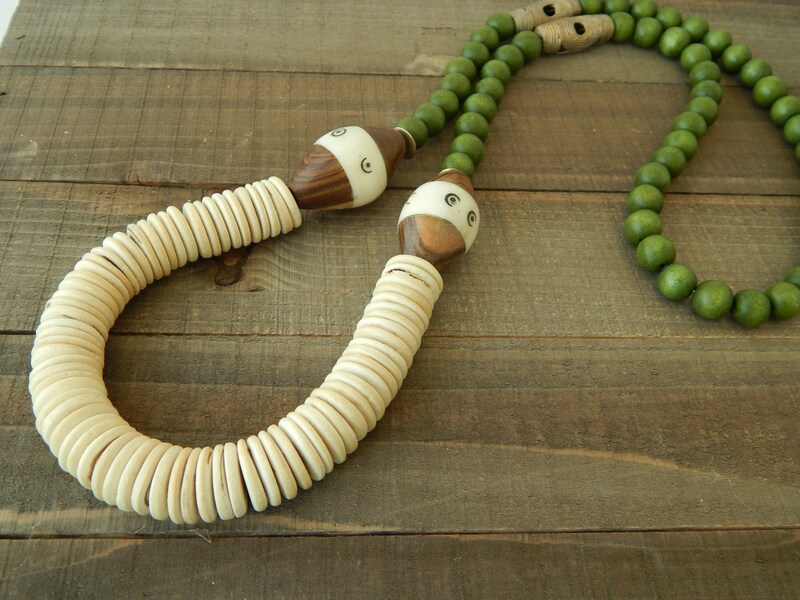 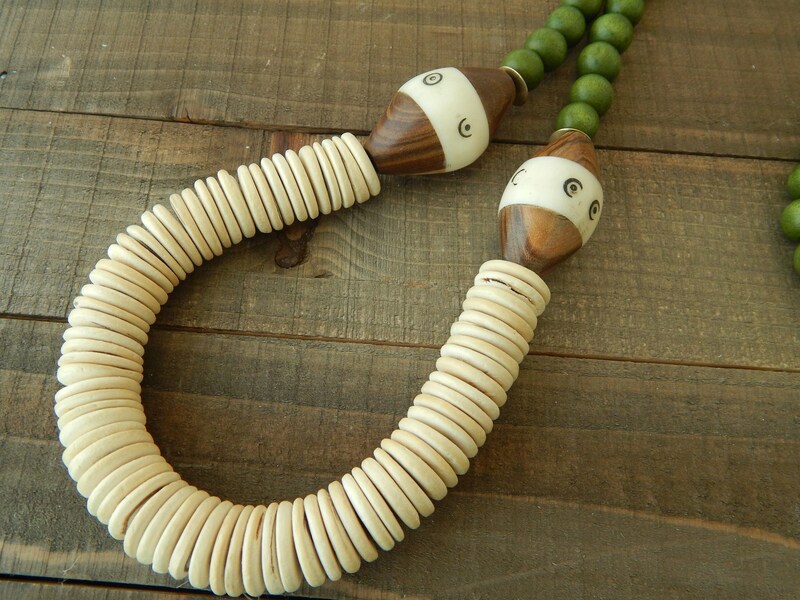 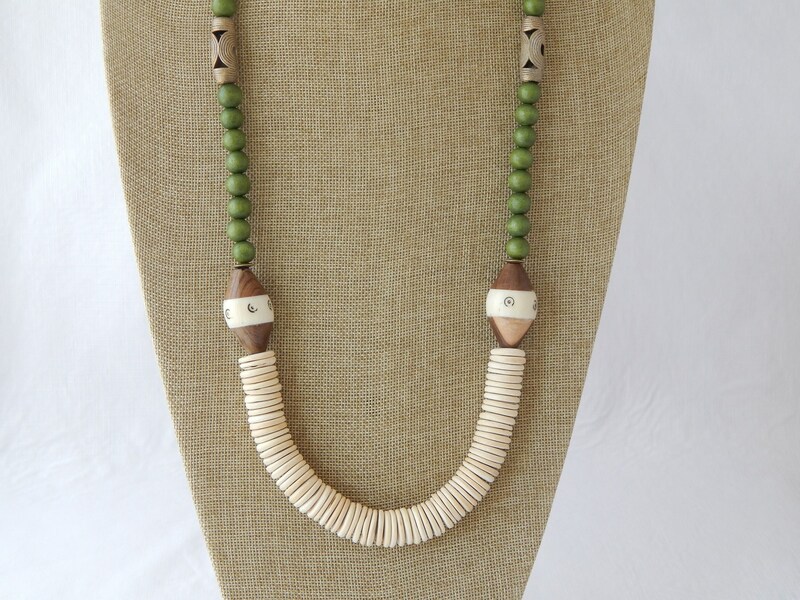 Olive green wood beads with coconut beads and vintage african wood bone beads and brass accents lend this necklace its earthy look.Light weight and easy to wear the neutral colors will go with everything and layers easily with other necklaces in my shop. 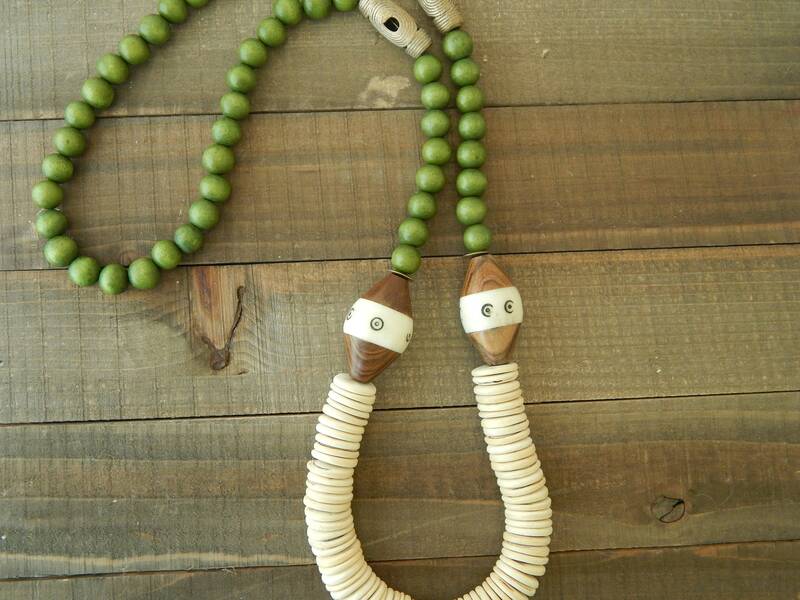 Wear alone for a casual boho vibe. 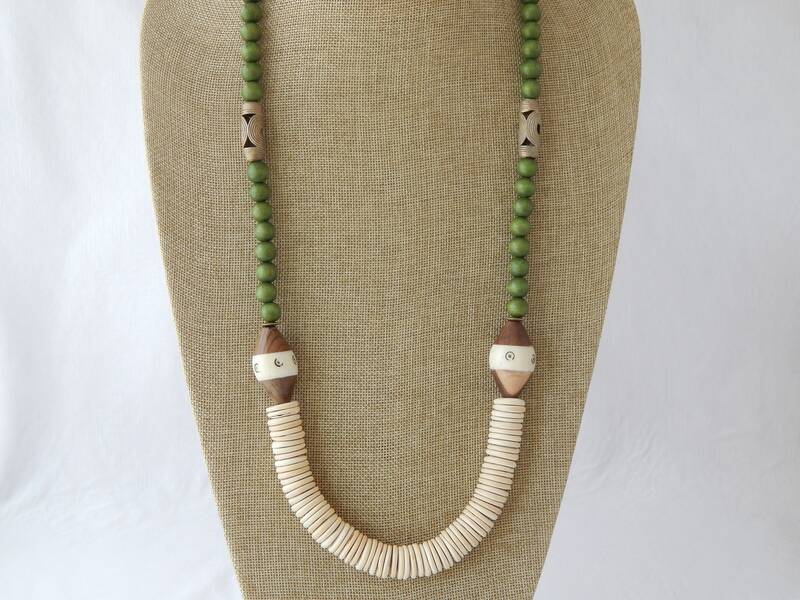 Necklace length is 36 inches and beads measure 10-25mm.